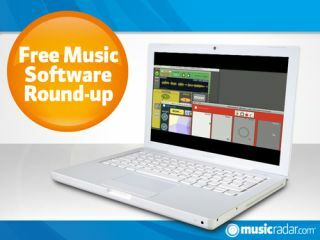 A triumvirate of music-making freebies this week: a reverb, a plug-in for beefing up your dubstep sounds and, most intriguingly of all, an application that lets you make music by doodling. This "professional" reverb has just been updated and released as a freeware product for the first time. Features include syncable pre-delay time, Room, Width and Damping controls and high/low-pass filter knobs. The reverb inversion facility, meanwhile, promises to facilitate the creation of different kinds of effects. A curious little application that promises to let you sculpt sounds through the act of doodling. What this actually means is explained in this walkthrough video, but to give you some basic specs, the tools at your disposal include a stereo multitap delay, reverb, a granular synth and a 5-bank comb filter. If you like dubstep and easy to use plug-ins, sit up and pay attention. Dub-Expander is designed specifically to add thickness and width to dubstep basslines, leads, pads and atmospheric sounds and features just Size and Mix controls. What could be simpler?